Begin your holiday in Costa Rica with a trip to the famous canals of Tortuguero on the Caribbean. 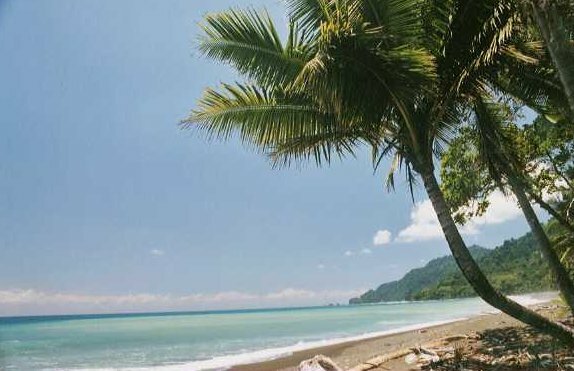 Discover two more Caribbean National Parks (Cahuita & Manzanillo) and relax at beautiful tropical beaches. After white-water rafting on the river Pacuare, drive through the highlands to the National Parks of Corcovado and Manuel Antonio. After a stay in the cloud forest nature reserve of Monteverde, visit the Volcanoes Arenal and Poas, and conclude your travel in San José. Arrival at San José's airport and private transfer to the hotel Fleur de Lys. Departure to Tortuguero National Park – one of Costa Rica’s most renowned destinations (The transfer is usually organized in groups, which is inevitable, so that nature is better protected). The trip leads you through the rainforest of Braulio Carrillo National Park, offering beautiful views. Pass the mystically two-colored river Rio Sucio before eating breakfast on the way to Puerto Limon. At Caño Blanco you visit a banana plantation before boarding a motorboat to continue the trip on the coastal canals of Tortuguero. The boat ride leads through lush vegetation and dense forests. The fauna consists of monkeys, crocodiles, iguanas, sloths, toucans, parrots and numerous sea birds. You will be received with a welcome-cocktail and lunch. In the afternoon there are guided tours to the Caribbean village of Tortuguero where you can visit the small turtle museum. Or rent a kayak to discover the Tortuguero's canals individually. Depending on the weather conditions, a boat trip will be made, to immerse in the wildlife and flora of the Caribbean Coast. 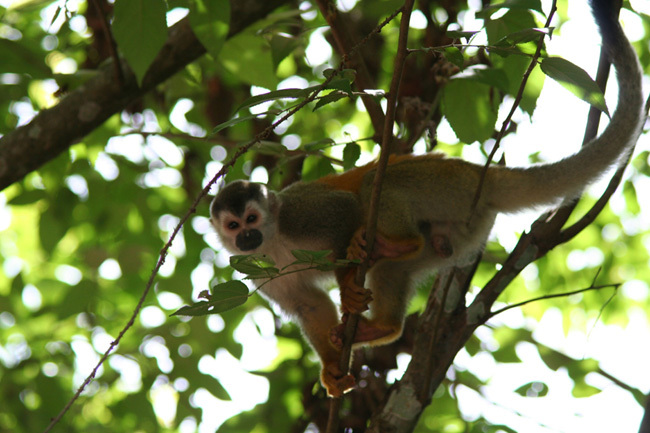 Watch monkeys, crocodiles, iguanas, sloths, toucans, parrots, and many marine birds in the jungle canopy. Explore the wildlife on a guided boat tour at dawn, followed by a breakfast at the lodge. Return to Caño Blanco by boat and transfer to the restaurant "Caribbean Dish" where your rental car (Daihatsu Bego 4x4) will be delivered. 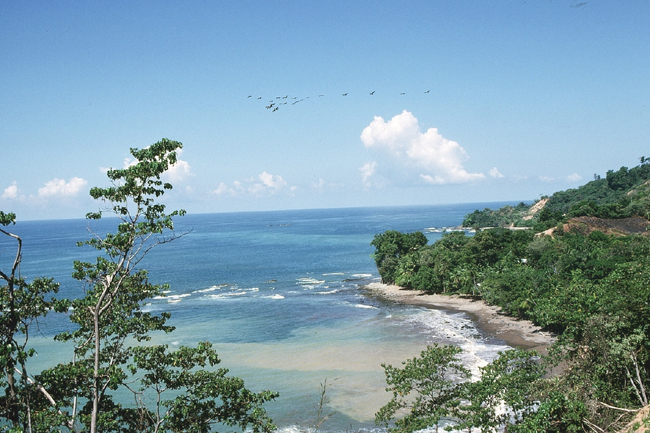 Continue to the Caribbean coast and discover Costa Rica’s most beautiful beaches. Pass Puerto Limon, the Atlantic port with an undeniable charm, reflected by the Caribbean style of the colorfully painted wooden houses. The town’s ambience is defined by the rhythms of reggae and calypso music, imported by African descendants from various Caribbean islands. Continue along the coast to Playa Cocles. 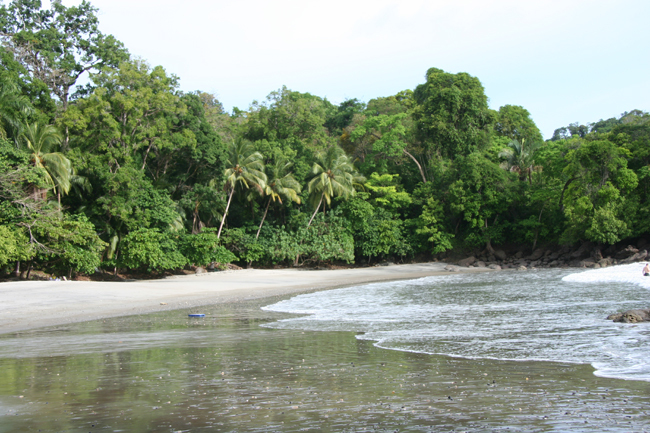 Day at your disposal to relax at one of Costa Rica’s most beautiful beaches (Playa Cocles, Uvita). Alternatively, you can visit Gandoca-Manzanillo Wildlife Refuge or Cahuita National Park to discover the vegetation and animals of the Caribbean; there is also the possibility to snorkel in the beautiful coral reefs. For a special experience of Gandoca-Manzanillo’s Wildlife Refuge we suggest hiring a boat tour to discover the picturesque coast (with snorkeling opportunities at Punta Mona). Breakfast at the hotel. Day at your disposal: Relax at the country’s most scenic Caribbean beaches. Visit Cacao Trails to learn about the history and production of cocoa. On the site you can also visit the Orchid Garden to see orchids, bromeliads and heliconias. At the adjacent organic farm there are yucca, pineapple, sugar cane, and cotton plantations to be seen. Make a canoe trip on the Rio Carbon to Cahuita National Park to discover its nature. Lunch suggestion: restaurant Cacique. Duration of the diversified tour: about 6 hours. The village of Bribri is mainly inhabited by the indigenous tribe of the Bribri. From Bribri the road continues to the border to Panama, where you can walk over the river Sixaola on a railway bridge to cross the border to Panama. Departure for White-Water Rafting on the Rio Pacuare (level III-IV, possible for beginners in good shape), an unforgettable experience. Quiet sections alternate with river rapids; the Pacuare River is known to be one of the world’s most scenic rivers for white water rafting. Paddle through dense forest, accompanied by a diverse wildlife (herons, toucans and many other birds). The equipment will be provided and the professional bilingual crew (Spanish/English) will guarantee your safety. Enjoy a picnic lunch (incl.) on the riverbank. Continuation to Turrialba by car. Discover the Eastern Central Valley before continuing to San Gerardo de Dota. Early departure to visit Irazu Volcano. 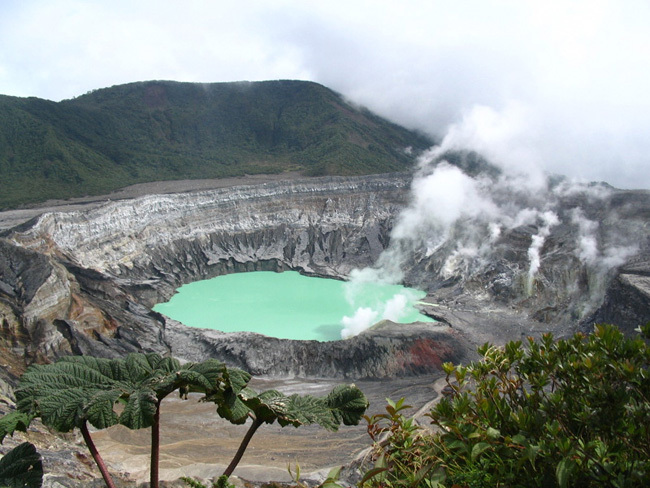 Costa Rica’s highest active volcano (3’432m), Irazu is surrounded by a national park of 2´300 hectares. There are splendid views in the morning, when the weather conditions are best. On a clear day you can see both the Caribbean and Pacific Oceans from the volcano’s peak. A hike around Turrialba Volcano. Turrialba is more active and remote than Irazu volcano. Go visit Guayabo National Monument (Guided tours in English or Spanish on request), one of the few archaeological excavations of Costa Rica and the country’s most eminent pre-Columbian site. Stroll through the pleasant park on 1200 m over sea level and follow the traces of a mysteriously lost civilization. Calculate 1-2 hours for this visit. Visit the village of Orosi, in the heart of the green Orosi valley. This is where the first settlers established themselves, impressed by the agreeable environment. Orosi’s small museum and its colonial church are the village’s most interesting sights. Hike through Tapanti National Park – Macizo de la Muerte. This is a little-known reserve that stretches on the north-eastern slope of the Talamanca mountain range on a height between 700 and 3491 meters over sea level. Due to high rainfalls there is a most particular vegetation to be found. There are three well-marked hiking trails, one of which leads to a quaint waterfall close to the river Orosi. Visit the Hacienda Real Coffee Plantation. The Golden Bean Tour is a great way to get to know the history, harvest and processing of the coffee bean. The tour is well-guided (English/Spanish) and, of course, includes a free coffee tasting. Drive over Cerro de la Muerte to San Gerardo de Dota. Early birdwatching tour with an ornithological guide. Watch a diversity of plants and birds, like green woodpeckers, trogons and toucans. This is the best place to spot the mythical quetzal: the quetzal is best known for providing feathers for the indigenous Maya's magnificent headdresses. 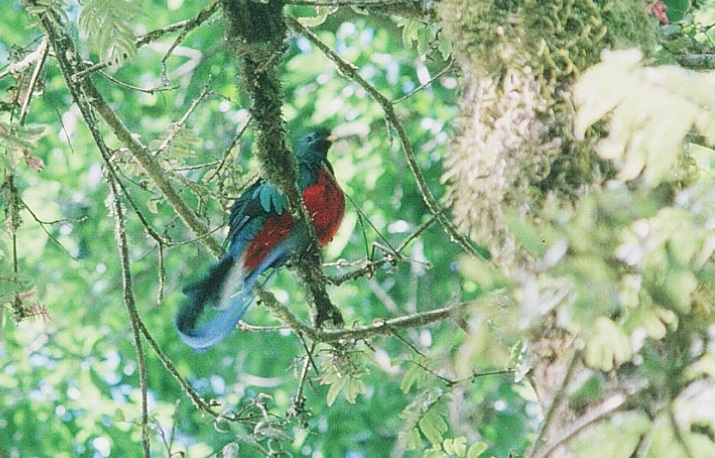 The best time to observe quetzals is between January and June, when the male birds grow long and colorful tailfeathers. If you positively want to spot a quetzal, we recommend booking a guided tour. The tour is so well-organized that we can practically guarantee your spotting a quetzal. The "Flight of the Toucan" is a kind of "Canopy Tour" on which you fly over the rainforest canopy, attached to zip lines. If you prefer to “travel comfortably” walk along the nature paths of the Hacienda’s reserve. 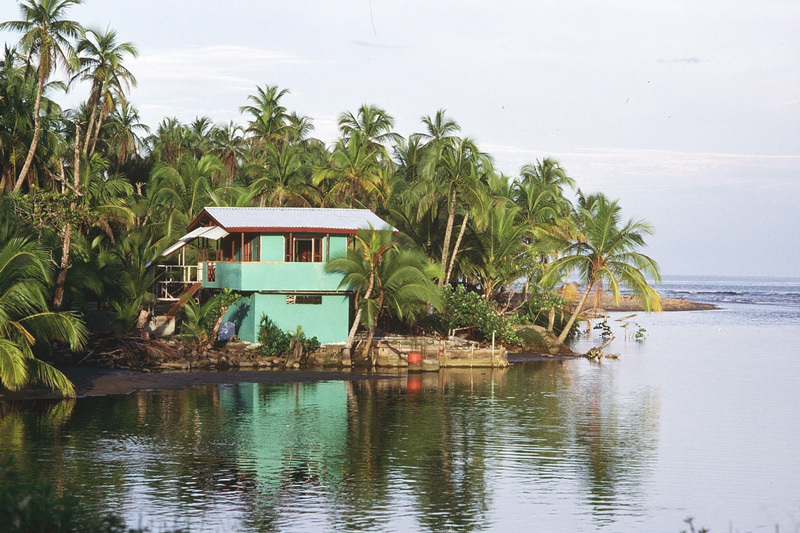 The private nature reserve lies at a beautiful beach, on the mouth of the River Baru. It is ideal to watch the animals of the area (310 bird species), the plants, as well as pre-Columbian petroglyphs. Visit Corcovado National Park, the largest patch of untouched nature in Costa Rica. You’ll be picked up by the operator at your hotel and brought to Sierpe, where you board for a boat tour through Rio Sierpe’s mangrove canals, over the Pacific Ocean to the Park entry San Pedrillo. At the park entrance you start a walk (approx. 3h) through Corcovado’s dense jungle and along the Pacific beach. Accompanied by an experienced guide you will be able to spot a variety of wildlife on the forest trails: toucans, parrots, monkeys, tapirs, crocodiles and more. After lunch you will be able to swim in the ocean. Return to Sierpe by boat; as there is a lot of wildlife to be seen on the way (bats, birds, snakes, etc) and you will stop whenever there is something interesting to see. Depending on the season you should also spot some dolphins and whales on the open ocean. Transfer to Hacienda Baru. Departure and optional visit of Manuel Antonio National Park (also possible on day 11). Bring some shorts or swimming trunks along to cross the river ford and to swim. Thanks to its lovely location on a Pacific peninsula and a variety of wildlife, Manuel Antonio is one of Costa Rica’s most popular national parks. There are not only over 100 mammal species (monkeys, sloth, deer) and various reptiles, but also a range of marine wildlife that can be spotted on a snorkeling trip (off or on the coast). It is best to arrive early as the animals are most active when temperatures are cooler. Swimming and snorkeling are possible. Day at your disposal: Visit the National Park, enjoy the beach, your hotel's swimming pool, swim, fish or snorkel. You hotel is the only in this price range with direct beach access. On the way you can visit Carara Biological Reserve. Carara marks a transition area between wetlands and dry Guanacaste, hence it’s home to an interesting variety of wildlife and plants and a particularly good place to spot the famous scarlet macaw. The Crocodile Safari on the Tarcoles river is also a great experience! Costa Rica’s largest crocodiles live here and can be watched from close distances on a pleasant boat tour. The tour is also interesting for birdwatchers. Arrival at the cloud forest of Santa Elena/Monteverde Biological Reserve. Visit the Monteverde Biological Reserve, the most famous cloud forest reserve of Costa Rica, which is apt for birdwatching. and has a huge variety of animals. Monteverde is also known as an orchid haven (Walter, the owner of your hotel has one of the largest private collections worldwide). The reserve’s complex ecosystem is inhabited by over 400 bird species (including the resplendent quetzal), 100 mammal species (monkeys, tapirs, jaguars, pumas) and a variety of over 2500 plant species and 6’000 insects. There are many hiking trails to explore the local flora and fauna. Drive over Lake Arenal to Arenal Volcano. You will be greeted by the silhouette of the majestic Arenal Volcano (1’600 m) when you arrive in the lush San Carlos Valley. Arenal is one of the world’s most active volcanoes. Since its explosive awakening on July 29, 1968 it is closely observed by volcanologists from all over the world. Its observation down Arenal’s slopes is particularly interesting at nighttime, when you see the lava streams glowing in the dark. Zip-line canopy tours with Sky Adventures, Sky Tram and Sky Trek. A tour of Arenal National Park and its the petrified lava fields. The path is easily accessible and flat. Only on the last stretch of 300 meters, there is a slight elevation. From there you have a clear view on the volcano and can closely inspect the old lava fields. You can do this tour without a guide. The Ecocentro Danaus, 2 km from La Fortuna, offers a botanical garden with a butterfly collection, frogs and snakes, gardens, a pleasant garden and an exhibition with indigenous Maleku art. Enjoy a stroll around Lake Arenal or visit the Waterfall of La Fortuna. As there are steady winds on Lake Arenal, it is a popular place for kite-surfing and windsurfing. Kayak, Bike and Quad Bike rentals are also available. 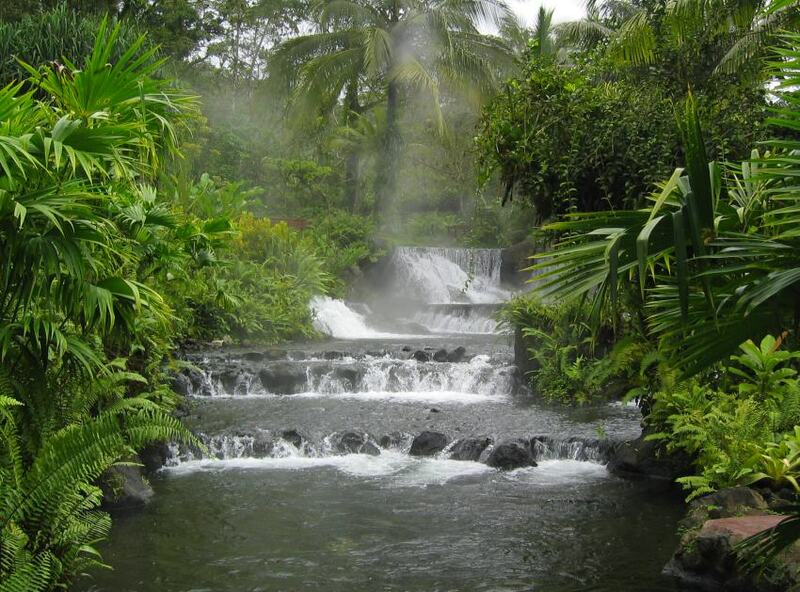 Arenal is well-known for its many volcanic hot springs. We recommend a visit of the magnificent Tabacon Hot Springs (open from 12pm). Arrive around 5pm, so you can enjoy the gardens at daylight. Relish a fantastic dinner and have another swim afterwards. The springs are open until 10pm, so you should have plenty of time to relax and enjoy the romantic gardens. Drive to San José through the "Small Villages": Grecia, with its metallic, brick-colored church; Sarchi, the manufacture of traditional colorful ox-carts, one of Costa Rica’s national symbols; on Sarchi’s town square there is a charming old church, painted with cheerful motives. Naranjo has a beautiful colonial church to offer, which evokes memories from times past. Continue your trip to Poás Volcano on 2’700 m. Poas is an active volcano with one of the world’s largest craters: an impressing diameter of 1.5 km and 300 m depth. Fumaroles and geyser activities can be observed on the volcano’s slopes. One of the water fountain eruptions can reach heights of up to 100 meters. The main crater is easily accessible. 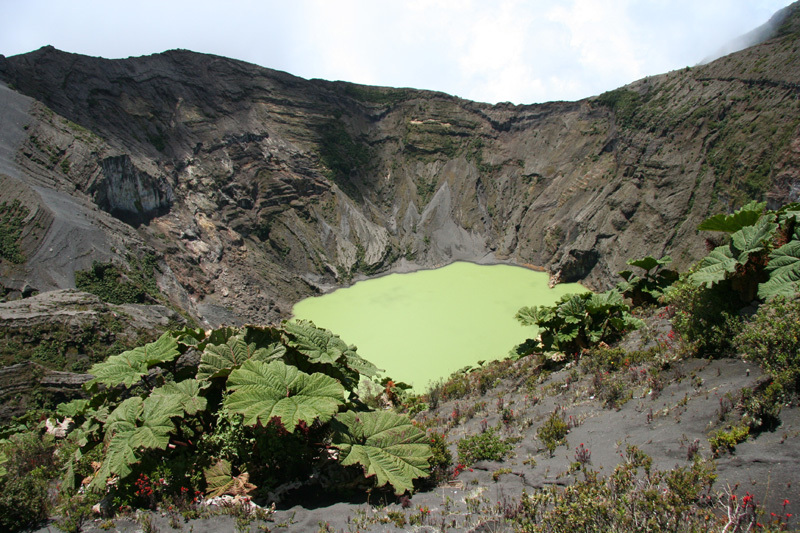 If you are interested in a longer hike you can also visit the secondary crater „Laguna Botos“ with its beautiful lagoon. Drive on to San Jose (approx. 1.5h) where your rental car will be picked up at the hotel. Depending on the time of your departure you will have time for sightseeing in San José. The main attractions are close by to your hotel and can be visited on foot. There is a pedestrian area (by the Plaza de la Cultura), where there are various shopping opportunities. If you are interested in museums, we suggest the following: Gold Museum, Jade Museum, National Museum and the National Theater (with terraces for great views on the city). We guarantee the same retail prices for hotels, rental cars and activities as direct suppliers. In addition, you get superior quality, as we only cooperate with approved and reliable partners. We assist you in planning, booking and provide English-speaking travel assistance around-the-clock.